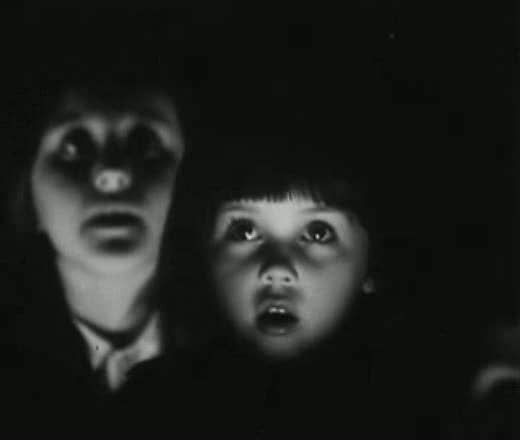 In 1978 Latvian filmmaker Herz Frank released his short film Ten Minutes Older. These mythical 10 minutes were the beginning of a movement that, 24 years later, would bring together 15 renowned filmmakers to pay tribute and contribute to the reflection proposed by this film: to record the passage of time. In this first issue of the Ten Minutes Older article series, GuideDoc introduces you to one of the most interesting movements generated from documentary cinema. From a nostalgic and attentive gaze, in Herz Frank's short film we see 10 minutes in which a group of children watch a puppet play. What they see, we don't, and that's precisely where the tenderness of this film lies, in seeing the passage of time through the expressions of a child. After seeing in his face the purest gestures of joy, astonishment, tenderness and fear, we find a metaphor between that child and life itself, where each emotion and experience implies an irremediable transformation. In 2002 the producer Nicolas McClintock wanted to take up this work again and turn it into a project, for which he proposed that 15 important filmmakers make their own version of Ten Minutes Older. Jim Jarmush, Aki Kaurismäki, Werner Herzog y Spike Lee are among the invited director. All this would be a tribute to those who made this film, Herz Frank, and cameraman Juris Podnieks. The fifteen directors were given three premises to participate: the short film could not last more than 10 minutes, the story had to propose a reflection on the passage of time, and finally, in all of them, a clock had to appear at least once. The result was a great ensemble of 15 short films that is divided into two parts: The Trumpet and The Cello (2002).